Dr. Valerie Wynne-Hall has served the dental community of Cumberland County for nearly 40 years. She brings a broad background to her private practice in Hope Mills, North Carolina. 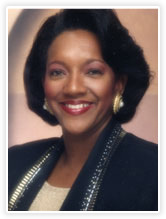 Dr. Wynne-Hall graduated from the University of North Carolina at Chapel Hill with a B.S. in Dental Hygiene in 1975. She continued her studies at the dental school, receiving her Doctorate of Dental Surgery in 1979. She completed her requirements for a Masters in Public Health Administration in 1987. Dr. Wynne-Hall served as the Director of Dental Services for Cumberland County for 10 years. She then served as the Chairperson of the Dental Program for Fayetteville Technical Community College. During those years she hosted both a Television program and a radio program called "In The Doctor's Office, with Dr. Val". In 1996 she entered private practice full time. She has continued her formal education with a postgraduate course in Esthetic Dentistry at the University of Missouri-Kansas City, and Level II Comprehensive Course in Esthetic Dentistry from the University of Florida School of Dentistry. She is a Fellow in the International Academy For Dental Facial Esthetics. Dr. Wynne-Hall is very active in organized dentistry. She holds active membership in The American Dental Association, The National Dental Association, The American Association of Women Dentist, The Academy of General Dentistry, The Academy of Laser Dentistry, The Old North State Dental Society, The North Carolina Dental Society, The Greater Fayetteville Area Dental Society, and is a member of Dental Fear.Com. Dr. Wynne-Hall keeps abreast of the latest advances in dentistry. She incorporates those technologies that will best serve her patients. Dr. Wynne-Hall serves on several community advisory boards, to include but not limited to, The E.E. Smith High School Math and Science Academy Advisory Council, and the Fayetteville State University Foundation Board. Dr. Wynne-Hall has mentored many young people and enjoys motivating the youth to be all they can be. She receives great joy from providing a learning environment for students interested in a possible career in the health field. Dr. Wynne-Hall is married and the proud "Nana" of 7 grandchildren.